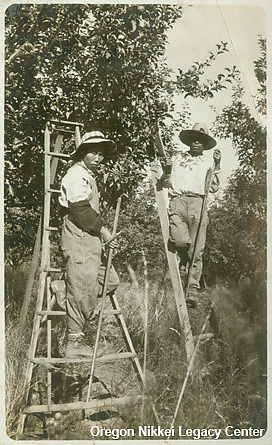 Tokujiro Yasui (right) and his wife Masashi on their farm in Dee, Oregon, ca. early 1920s. ONLC 317, Gift of Frank Yasui.